Huntington harbor lifestyle is hard to beat! 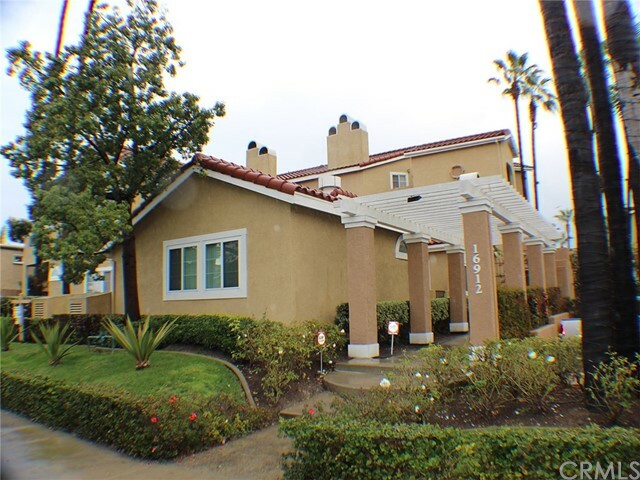 This spacious townhome is conveniently located within walking distance to all of the harbor amenities. Walk to the best harbor beaches for a day in the sun and return home to a tropical resort style pool and spa. Excellent floorplan is open and inviting, with a large living room, recessed lighting, scraped ceilings, romantic brick fireplace. Dining area is located in between the kitchen and living room with direct access to the patio entertaining area. The back patio is sunny and bright with direct access to the private garage and laundry area. The kitchen is gorgeous, with elegant granite counters, contrasting custom cabinets trimmed with newer stainless appliances. Kitchen area is well thought out to provide extra counter and cabinet space. There are two huge, master suites, both are able to accommodate an oversize bedroom set with plenty of room to spare. The two large bathrooms are en-suite with the third powder room downstairs. Such a great community with an amazing pool and spa area, best schools, great location and the bonus of onsite rv parking for residents. This home features3 bedroom, 2 bathroom home! 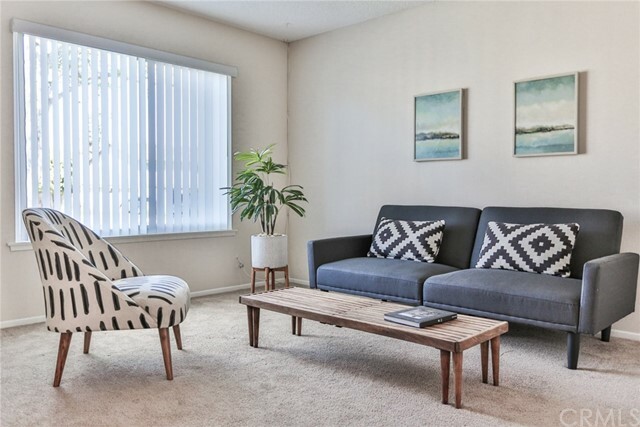 Canyon is quietly situated within fernhill, a centrally located private community near beaches, wetlands, huntington harbor, shopping, freeways and a short walk to meadowlark golf course! Recent upgrades include: remodeled kitchen with custom mocha cabinets, soft close doors, granite countertops, stainless steel appliances, brushed nickel hardware, porcelain tile floor & backsplash. Scraped ceilings, recessed lighting on dimmer switches, crown molding and new vinyl windows throughout. Central air and heating!! The newly remodeled bathrooms include custom mocha cabinets with soft close doors, porcelain tile, caesar stone countertops. Additional features include ceiling fans, newer contoured carpeting, oversized 2 car garage (currently fits the length of a full sized truck), extra garage storage with large storage closet and a newly rebuilt back patio with trex decking, perfect for enjoying beach living! Third bedroom offers a private entrance, perfect for roommates, guests, a home office and more. Fernhill is newly painted and beautifully maintained, this community features a pool, tennis court, clubhouse and greenbelts throughout for a low hoa! Beach living at its finest- don’t miss the opportunity to own one of the best units in the seaporte community! Almost everything in the home has been upgraded. Upon entry buyers will surely be impressed with the light-filled open floor plan. The family room, dining area and kitchen are all open to each other making the space perfect for entertaining. 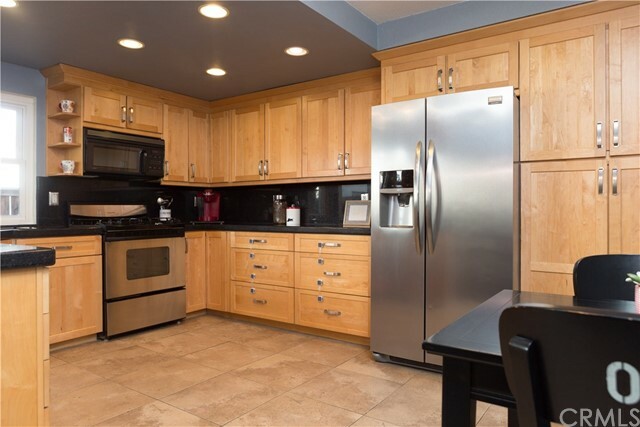 The kitchen has been upgraded with beautiful granite countertops, lovely wood cabinets and stainless steel appliances. The master bedroom is spacious and is attached to a lovely resort-like bathroom complete with a deep soaking tub. The master bedroom also features a walk-in closet and an attached covered patio which is currently screened in and is used as a private indoor/outdoor space to relax. This corner unit has so much privacy and a beautiful view of the sparkling community pool. New ac & heating system. New sliding doors and other upgrades to be completed before close. Laundry is inside the unit. Parking is just underneath the building and there is plenty of guest parking in this gated community. Community also features an elevator, fitness center and community center. Just a quick walk to the beach, and huntington harbor, bolsa chica wetlands and more. Come and see for yourself and make this beautiful home your very own. Awesome ground floor location in gated huntington seaporte ii condos near huntington harbour & approx. 1 mile to the beach. The kitchen has fully renovated cabinets, flooring, granite countertops, pantry, sink, faucet and cabinet fixtures. Fully renewed master bathroom: pocket door, flooring, shower, shower glass, cabinets, sink, toilet and all fixtures. Guest bathroom, cabinets, sink, toilet and all fixtures. New bamboo flooring in the living space and new base boards and walls painted, 2 large bedrooms with mirrored closet doors. Cozy home has an open floor plan with spacious living room & lovely gas fireplace. Home has air conditioning and central heat. Beautiful kitchen with plenty of cupboards, newer appliances gas stove, microwave, dishwasher & breakfast bar for informal dining or entertaining. Also has separate laundry room off kitchen. Very light & bright with off-shore breezes all year long. There is plenty of room for relaxing on the large covered patio in front and one in the back. 2 underground locked assigned parking spots near elevator. The complex has a beautifully appointed clubhouse for meetings & parties. Pet areas and a fenced-in pool/spa/bar-b-que area with picnic table. Near restaurants & shopping off the famous warner blvd. Approx. 1 mile to the ocean. This home is well priced and won’t last long on the market. 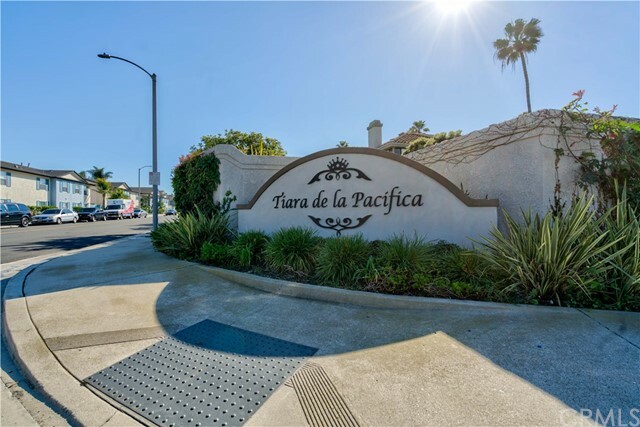 Welcome to tiara de la pacifica, located in the beautiful gated community of harbour pointe, our mediterranean by the sea. Vacation year round in this beautiful huntington beach resort style home. Enjoy the fresh ocean air on the balcony - the community pool - spa - and all the newly redone breathtaking amenities it offers. The home itself has a wide open floor plan with vaulted ceilings, skylights and plenty of windows introducing lots of natural light. With approximately 1,038 sqft of living space, this home features 2 spacious bedrooms, 2 full bathrooms, a remodeled kitchen with newer kitchen counters and mosaic glass backsplash, an inviting dining area, travertine flooring, kensington manor laminate flooring, tiled entry and re-finished floor to ceiling fireplace facing with mosaic tile surface. In addition, home features plantation shutters; re-glazed bathroom counters, showers and tubs; ceiling fans; recessed lighting; two balconies; a private garage and a dedicated parking spot. 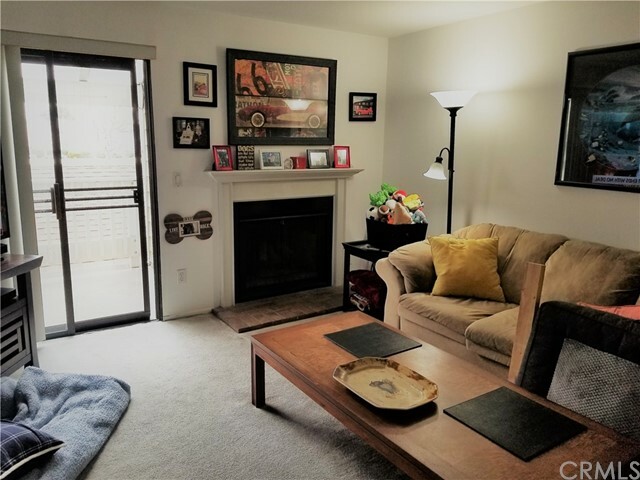 Within walking distance to grocery stores, restaurants, banks, local schools, the bolsa chica wetlands, and huntington harbor. It’s the perfect time to move into this upgraded condo that offers a highly desired location. Close to surf city and its popular beach, restaurants, entertainment, and a place to call home. Community allows each homeowner one free rental of the club house per year. This supremely positioned, upper level 2-bedroom 2 bath condominium exudes a spacious and relaxed ambiance. Provided elevator access from the subterranean garage grants all living areas to be on one level. 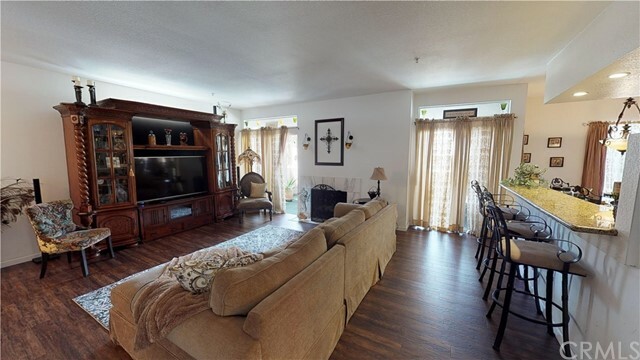 The home has an open concept with the kitchen overlooking the living room with vaulted ceilings and fireplace. Located barely a mile to the ocean, there is also swift access to the association gym, barbeques, community pool and spa, and clubhouse with full kitchen. Plentiful accommodations include two car parking, guest parking and storage spaces. Live the huntington beach lifestyle with proximity to renown schools, exquisite dining, well-known beaches, and shopping. Location location location!!!!!!! 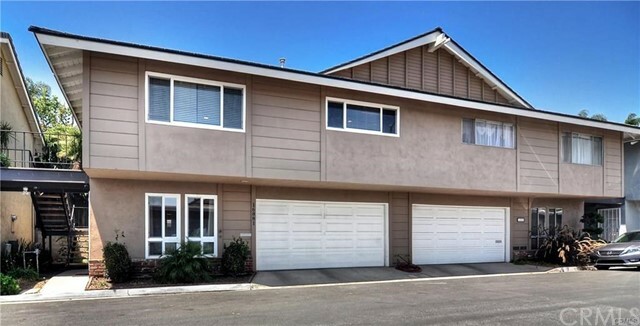 Don't miss out on this opportunity to own a home under $500k in huntington beach with great schools, elementary school is harbor view within walking distance; marina high school nearby, marine view middle school also nearby. This location has great weather, great shopping, whether you drive minutes to westminister mall or grocery shopping at trader joes and surrounding nearby stores. There are great restaurants near by and not to mention surrounded by expensive homes and your less than a mile away from bolsa chica state beach. Walking distance to the popular wetlands for a nice walk. This wonderful 2 story townhome features, 2 good size bedrooms, 2 baths, attached 1 car garage with direct safe access inside the house, good size patio, nice laminate wood flooring, carpet upstairs, good size kithcen, another patio located before front door to enjoy a nice ocean breeze with some coffee and weekend mornings. Meadowlark golf club is within minutes if you happen to golf, easy access to the 22 and 405 freeways and minutes away from pacific coast hwy. Don't let this one pass you by!!!!! Complex is fha & va approved!!! Incredible condo with detached garage in pointe surfside!! 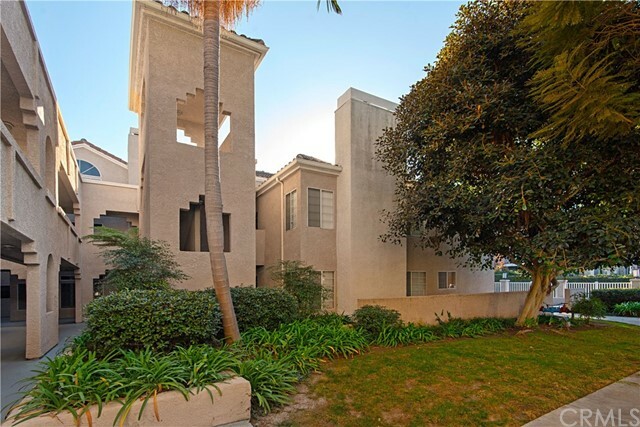 Enjoy all that huntington beach has to offer in this gated community. You will love the ocean breezes, romantic fireplace, huge living room/dining area, balcony storage room & inside laundry area with full size hookups for washer & dryer! Resort style living with lots of amenities including pool, spa, bbq area, tennis court and community room. Don’t wait, this unit will go quickly. Enjoy living in this spacious two story, two bedroom, 2 bath townhome. 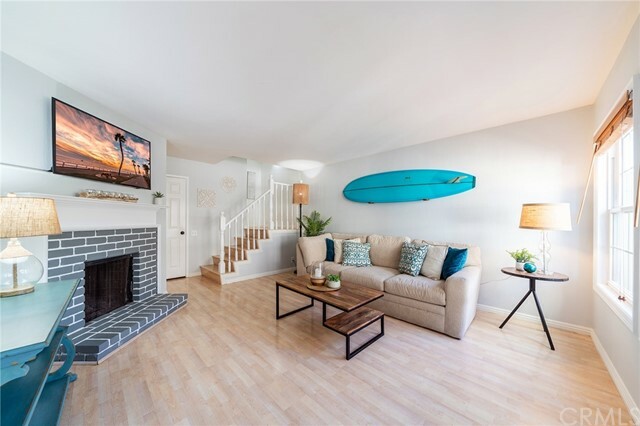 Turnkey and ready for you, this home features interior laundry, a private patio, assigned carport parking with storage, large bedrooms and is a short walk to the beach and area shops and restaurants. 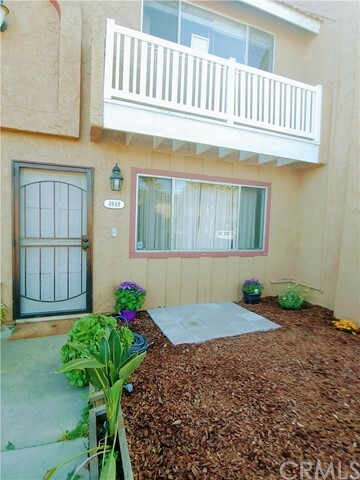 With a newer furnace and dual pane windows, upgraded countertops, brand new dishwasher and fresh paint you can move right in and enjoy all that huntington beach has to offer. Feel like staying close to home, the association has a wonderful saltwater pool, there is a nearby park and you are located on the most ideal green belt and will feel ocean breeze all day long. Don't hesitate to check out this home today and make it yours!